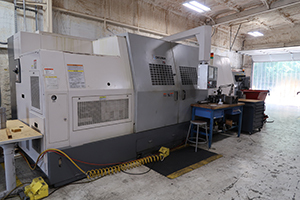 Hager Machine & Tool has a long history with CNC machining. MasterCam and IGF programming have been utilized for many years, and now we have access to EdgeCam, Espirit, SolidWorks and Unigraphics software models. Hager emphasizes medium format turning and premium threading. Milling capabilities with our 5 axis horizontal machining center are also noteworthy. At Hager, we understand oil patch requirements. Joining the Atec family, we offer even stronger capability and more of a one-stop shop to our customers. 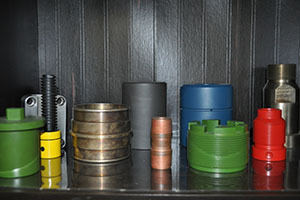 We cut parts for hangers, well heads, valves, pumps, poppets, spacers, heads, swivels, pins, caps, pipe ends, and more. Beyond the oil patch, we service petrochem, airtool, hydraulic and electrical industries. Simultaneous 5-Axis Mill/Turn capability will now be procurable from Hager. Electronics and instrumentation have been produced by Atec since its inception. Atec’s purchase of Lymco Electronics and Kestran years ago greatly added to our oilpatch and downhole pedigree. We offer clean rooms, soldering, cryo testing, cabling, coil winding, precision mechanical assembly, welding, packaging and other full manufacturing capabilities. 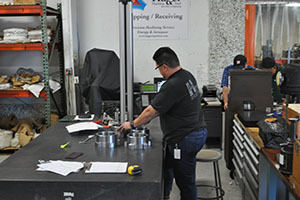 The engineers, tech assemblers, test/checkout professionals and inspectors needed for complex finished products are joining Hager machinists to offer a new level of turnkey service to our customers. The Atec Companies purchased an EOS 3D printer to manufacture metal components and to expand into the growing additive manufacturing industry. Hager also has onsite a premium OMAX multi-axis, rotary head Water Jet machine, perfect for beveling, contouring and flat work. Where machining is needed, welding fabrication and painting are usually involved as well. Atec, Vital Link and Celtech add large fabrication capabilities to Hager’s resources. 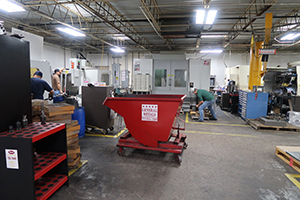 Cranes, paint booths, sand blast facilities, large forklifts, manlifts, multiple welding machines, tables, fixtures, laydown areas, are now in the mix to service Hager customers. Hager has top flight machining personnel led by Lloyd Purdue. 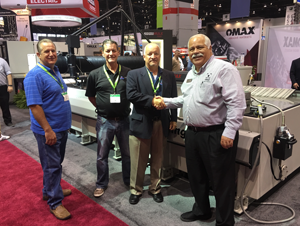 Our new affiliation with Atec brings us support from Mark Cummings, Val Hazelwood, Eddie Bombita, Joe Daugherty, and Greg Guillot – all well-known machining and programming experts. Consultation with these experts will allow Lloyd and crew to attack any requirements with confidence – and that confidence will be bolstered by the leading edge machining and fab infrastructure at Atec in Stafford TX, Vital Link in Sealy TX, and Celtech in Carlsbad NM. Hager will retain its identity as a speedy, low cost machining provider. Yet, Hager operations and customers will surely benefit from Atec’s AS9100c/ISO9001/ISO14001 quality program. Significant QC measuring equipment has been added in Hager’s modernized shop. Hager will now have the capabilities of 100+ engineers on its team. Backgrounds in Energy and Aerospace are prevalent among our engineering staff. 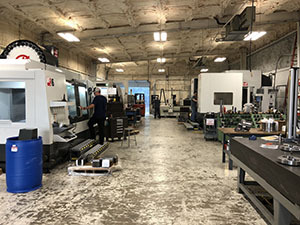 Our hands-on engineering emphasis focuses on manufacturing design and product sustainment – you won’t find ivory tower/office only types on our engineering team. Supporting our shop and field emphasis, we run the latest design software tools: Solidworks, Unigraphics, LabMat and more.